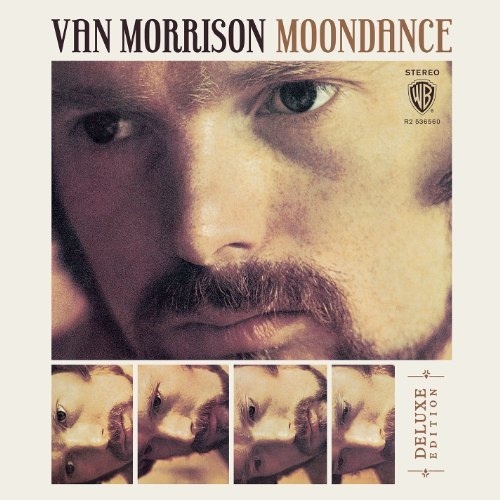 Van Morrison had already attracted some attention with Them, scored a hit with “Brown-Eyed Girl” and produced the incredible Astral Weeks by the time he delivered Moondance in 1970. But this was the album that made him a star. It didn’t happen overnight. The record rose no higher than number 29 in Billboard (an improvement over Astral Weeks, which didn’t even make the top 200) and produced no big singles (“Come Running” reached number 39). But it lingered on the charts for nearly half a year and has continued to sell ever since. Today, it is regarded as his commercial breakthrough and is justly considered a classic, thanks to its jazz-influenced pop rock sound, Morrison’s brilliant compositions and his winningly varied, uniquely delivered vocals. It’s hard to believe he was just 24 at the time. Five discs of Moondance may initially seem like overkill, and for some people it will be. But for serious fans, the previously unreleased tracks offer rare insight into Morrison’s creative approach. Now we have five discs’ worth of Moondance, including a remaster of the original album; a Blu-ray Audio disc; and three CDs with 50 previously unreleased tracks, among them multiple takes of most of the final album’s tunes; three versions of “I’ve Been Working” that differ substantially from what later appeared on His Band and the Street Choir; several readings of the terrific “I Shall Sing,” which Morrison has never previously issued in any version; and a recording of “Nobody Knows You When You’re Down and Out,” the 1923 Jimmy Cox blues standard and the only non-original in the package. Five discs of Moondance may initially seem like overkill, and for some people it will be. It’s true that most of the session material here wound up as outtakes for a reason. It’s also true that few people will want to listen, for example, to 11 alternate versions and one mono remix of “Caravan.” But for serious fans, the previously unreleased tracks—which include revealing studio banter—offer rare insight into Morrison’s creative approach. You can hear his total engagement with the process, his search for perfection. You can also hear subtle differences in early takes, but interestingly enough, the arrangements and delivery rarely depart much from what Morrison ended up with. He said at the time that he produced the album himself because “no one knew what I was looking for except me.” Listening to these sessions, you don’t doubt that. While the outtakes are fascinating, if only for the artist’s biggest fans, just about everyone who owns a good five-channel Blu-ray-connected sound system should do cartwheels over the disc with the 5.1 channel DTS-HD Master Audio. There’s no video, aside from some period snapshots, but the surround-sound audio ranges only from fantastic to astonishing. It will make you want to hear all of your favorite records this way. So thank you, Warner Brothers, for releasing this beautifully packaged collection. Now please go back to the vaults and do the same thing with Astral Weeks.